Email your photo/s for our FREE professional advice today. Our production team will double check photo suitablity and give honest feedback and advice. As well as advice we are We will provide you a complimentary photo evaluation and proof of your choice within the next 48 hrs. 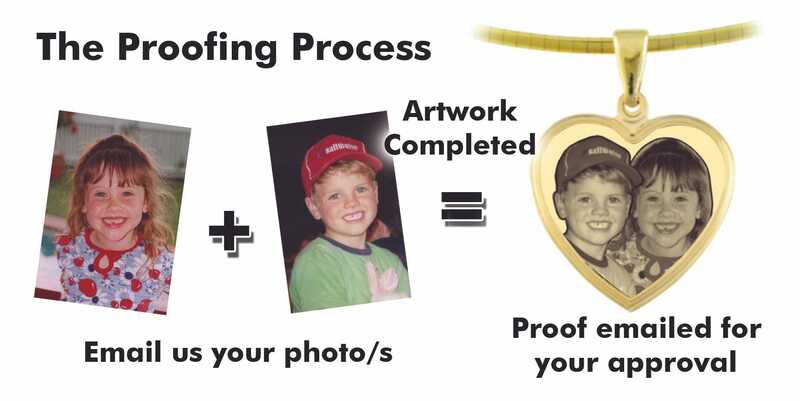 Background objects are removed from the image and photo editing is made as required.Images from mulitple photos can be combined and engraved onto your Image Gold pendant.